The supreme being Himself finally returns, and just in time for the holidays! In this hilariously holy limited engagement, God descends upon the Bluebarn stage along with his angels, Michael and Gabriel. He’ll answer the eternal questions. He’ll set the divine record straight. He’s got ten new commandments, and He’s got jokes. 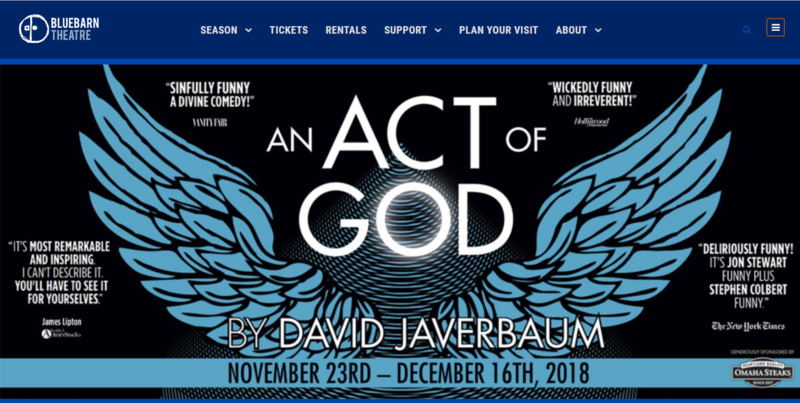 Actor Ablan Roblin, who portrays The Good Lord Himself, chats with Mike Hogan "Live & Local" about the the play "An Act of God" which opens on November 23rd. More information can be found at http://bluebarn.org.